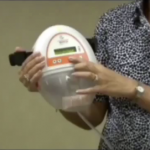 Instructional video on how to use a nebulizer kit from Advanced Home Care. Instructional video on how to change a normal saline dressing for wounds by one of Advanced Home Care’s Board Certified Wound-Ostomy-Continence Nurses. 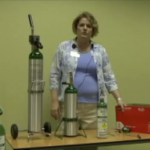 The video also covers troubleshooting tips for the alarms on a negative pressure device, as well as how to change the canister. Instructional video on how to use the manual crank of an electric hospital bed from Advanced Home Care during a power outage. The manual crank will allow you to adjust the bed in the event that your power goes out. 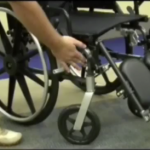 Instructional video on how to use a patient hydraulic lift from Advanced Home Care. Patient hydraulic lifts are used to safely transfer an individual from one surface to another, such as from a bed to a wheelchair.